Home > Uncategorized > Melissa & Doug Wooden Table and Chairs Set – White Only $59.77 + Free Shipping From Amazon (Was $117.96)! 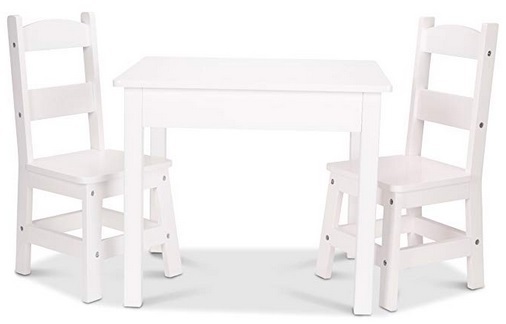 Melissa & Doug Wooden Table and Chairs Set – White Only $59.77 + Free Shipping From Amazon (Was $117.96)! December 5, 2018 Comments Off on Melissa & Doug Wooden Table and Chairs Set – White Only $59.77 + Free Shipping From Amazon (Was $117.96)! Amazon has the Melissa & Doug Wooden Table and Chairs Set – White marked down to only $59.77 + Free shipping (dropped from $117.96 over the past month)!